Last year, the Supreme Court had asked the DTAB to list the FDCs that needs to be regulated or banned or restricted, along with reasons, following which the drugmakers fought a long legal battle against the government. 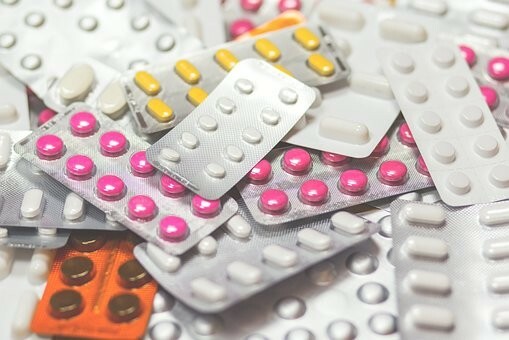 The Union Health Ministry is planning to ban manufacture, sale and distribution of 343 fixed drug combinations (FDCs) listed in the draft recommended by the Drugs Technical Advisory Board (DTAB), which stated that the medicines were irrational drug cocktails and exposed the patients to unnecessary overuse risks. The apex drug advisory body found that there was a mismatch in combinations of the dose which eventually increased the toxicity in the human body. The ban will reportedly be imposed on popular cough syrups, pain killers and flu medicines like Phensedyl, Saridon and D'Cold Total. The final statement will expectedly come next week, said the officials. "The health ministry will duly ban 343 FDCs," confirmed an official. Another senior official from the ministry said that the issue is still "under examination" as the draft will get some minor changes before the final notification is presented. FDCs are recommended to patients sufferings from fever, headache and infection. These consist of two or more therapeutic ingredients packed in a fixed dose. The draft recommended by DTAB includes combinations like paracetamol + phenylephrine + caffeine, chlorpheniramine maleate + codeine syrup and paracetamol + propyphenazone + caffeine. The move might affect top Multinational Companies like Abbott as well as domestic players such as Piramal, Macleods, Cipla and Lupin among others. According to market research firm AIOCD Pharma Trac, the probable ban accounts for about two per cent of Rs. 1 lakh crore drug market of the country. The medicines have been in the Indian market for about 15 to 20 years. As per some analysts, the impact of the ban will be limited. "Apart from a couple of big brands like Phensedyl, most of the other brands are very small and the ban will have a marginal impact," said Abhishek Sharma, a pharma analyst at IIFL.